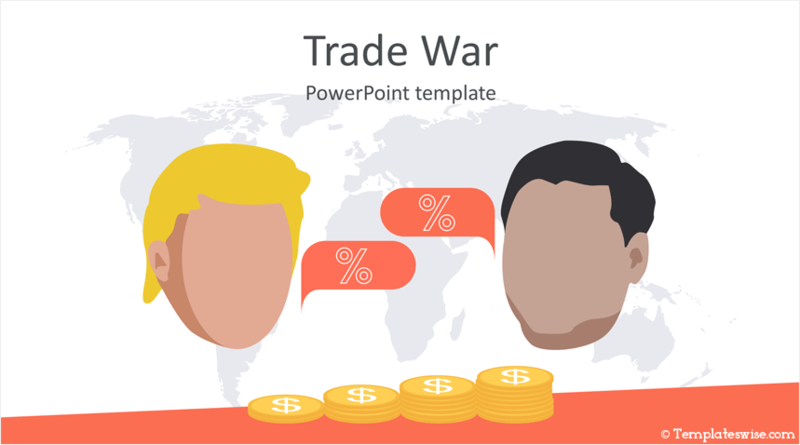 Impress your audience with this trade war PowerPoint template. 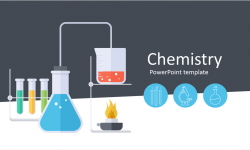 The title slide features a simple flat design illustration with Donald Trump and Chinese President Xi Jinping faces with speech bubbles and percentage signs. 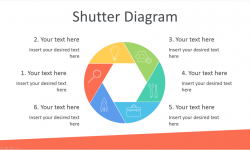 The slide also includes a light grey world map as background and golden coins rising trend to illustrate tariffs escalation. 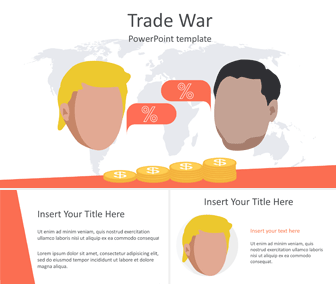 Use this template for presentation on the trade wars, Donald Trump tariffs, etc.